Log cabin planning permission or building regulation approval - do you need it? Whether you will require log cabin planning permission will very much depend on what size it is and which country you live in! Planning policies vary hugely across the globe and what is readily acceptable in some countries will be hard to achieve in others. The size may well also impact on whether you need planning and building regulation applications. Smaller log cabins often have a lot less restrictions placed on them, especially if they are within a garden of a existing dwelling. While there is no easy answer to this question, we can give you some very useful pointers and tips to help guide you in this area. You must be certain before you start you log cabin that you know what is required and have submitted your local authority with applications for approval, if this is needed. Log Cabin Planning and Building Regulations? Now please just use the information below as a general guide (this is not professional advice for your specific location). The information given is geared more towards the UK, but will be relevant to other countries as well. You must check with your local authorities to ensure you comply. If you are not sure what applies where you live, your local log cabin supplier should be able to help you. Failing this I would recommend you get in touch with a local planning consultant, who should be familiar with your system. Log Cabin planning permission or development permits? In general, the countries with both long histories and a smaller land area tend to have stricter planning policies. This is the case in the UK, where planning is strictly regulated. While in a country like Canada, which is much newer and has lots of space, getting permission (or permits) for a log cabin is much easier. Just because you may live in a country which has strict planning rules though doesn’t mean you always need planning permission, or won’t be able to obtain it if you do. In the UK, for example, there are certain size criteria. If you are looking to construct a smaller garden cabin (and provided it is located in the right place), this can mean no planning is required. Larger log homes will normally need permission, but paying attention to certain areas of your log cabin planning can help this process go more smoothly. 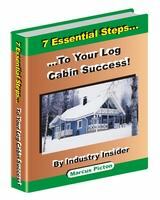 Discover more about specific planning aspects to help you with your log cabin project. Log Cabin building regulations or permits? 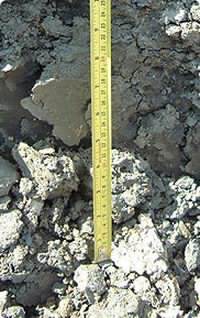 Building regulations, or permits, usually apply to most buildings over a certain size. Again your country and even local government policy will vary, so you must find out what applies where you want to build. Typically, key issues will centre around: Fire protection and means of escape, drains, energy performance, foundations, services, disabled access, structure and maybe aspects of local importance. We will go over the key building regulation sections and also whether you are likely to need it or not.